Nigeria’s two main workers’ unions on Thursday commenced a nationwide strike after several months of failed discussions with the government. 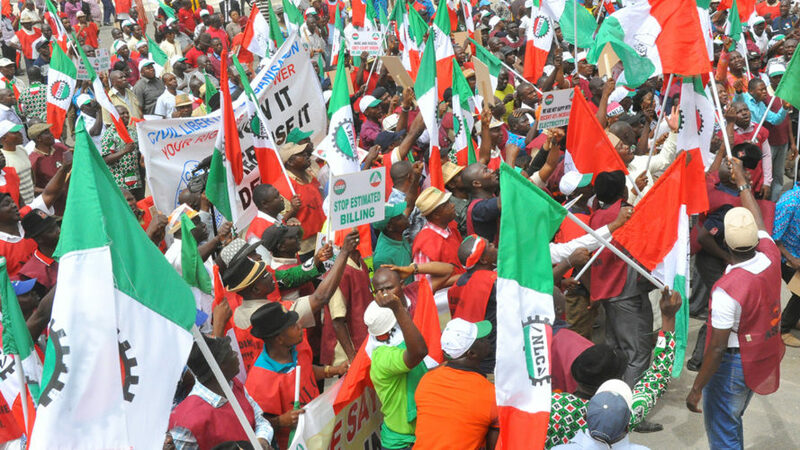 The Nigerian Labor Congress (NLC), composed of workers, and the Trade Union Congress (TUC), a professional and managerial trade union, asked their members in the public and private sectors to stop work after discussions with the government on working conditions and minimum wage levels failed. 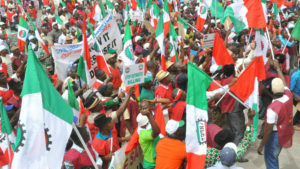 The workers are demanding N50,000 minimum wage. Currently, N18,000 is the minimum wage in Africa’s most populous nation. While in many states, the strike paralyzed federal and state secretariats as civil servants complied with the labor Unions’ directive, some banks and other businesses attended to customers. In the Federal Capital Territory, financial institutions and other private business premises shunned the directive. The strike, however, had little impact on social and commercial activities in satellite towns like Kubwa, Mararaba, Karu and Gwagwalada. Nigeria’s economy is expected to grow more slowly this year than previously forecast as investors hold off before elections in early 2019, a Reuters poll shows. Earlier this month, the country’s privatization agency said the government will offer 10 state-owned companies for sale to selected investors and the public in the fourth quarter to raise 289bn naira ($797m) to contribute to the 2018 budget funding. Posted by Emmanuel Agbenonwossi on September 28, 2018. Filed under News. You can follow any responses to this entry through the RSS 2.0. Both comments and pings are currently closed.